It took two years of work and God’s grace for our dream to come true. 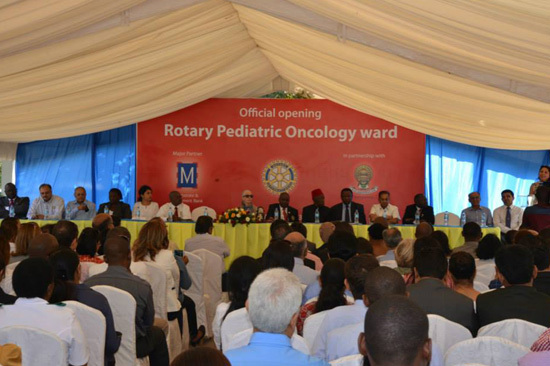 On the first of August, Rotary Clubs in Dar es Salaam in partnership with Bank M and in association with Kalamandalam, opened doors to the Rotary Pediatric Oncology Ward at Jengo La Watoto, Muhimbili National Hospital. The ray of the sun shining, the prayers from the adjacent mosque, the blessings from the guests and the smiles from the doctors, nurses and the children – made the morning of the inauguration spectacular. Muhimbili National Hospital’s new Rotary Pediatric Oncology Ward opened with a ceremonial ribbon cutting by Dr. Jane Goodall, changing decades of Tanzania’s statistics of childhood cancer survival rate. In 2009, childhood cancer survival in Tanzania was only 12%. Although there was a facility for children with cancer, they had no pediatricians, no night-time medical care, a severe shortage of medication and massive over-crowding with 3-4 children to a bed. Rotarians became aware of the bleak situation, and our instinctive and emotional reaction was What can we do to help these kids survive. We were also told that most childhood cancer are curable if detected early enough and properly treated. The childhood cancer survival rate in Tanzania has now soared to 55%. A HUGE improvement due excellent care and services given by doctors and nurses, but still well below where it could and should be. In more developed countries, childhood cancer survival rates average around 80%. And this is where Rotarian knew what needed to be done and were determined to run the extra mile. 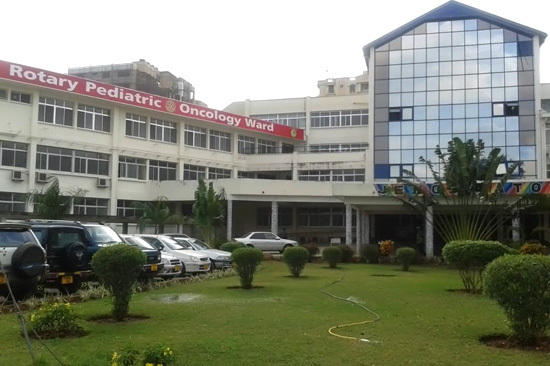 The six Rotary clubs in Dar es Salaam together with Bank M, mobilized around an ambitious two year objective to build and fully equip a modern pediatric cancer ward with more space, isolation units, proper medical equipment and play and family areas, which would prevent a decline in survival rates. Rotarians decided to build on the success of the annual Rotary Dar Marathon and with such a compelling cause to drive us, the Rotary Dar Marathon of 2011 and 2012 proved to be the biggest and best ever. Participation tripled, corporate sponsorship increased five-fold, and the event received significant national and international media coverage. The marathon of 2011 and 2012 raised a combined $900,000 after costs that structured the road to reality. 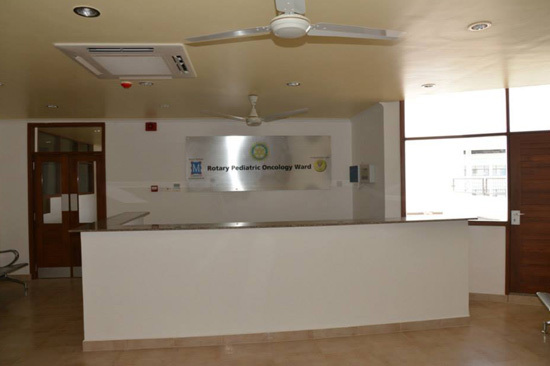 Today, the brand-new Rotary Pediatric Oncology Ward is sized at 400 square meters which entails 23 beds, much needed isolation rooms, piped oxygen and other essential equipment making a significant difference in statistics of the survival rates of children suffering from cancer. As Rotarians, not only are we proud of what we have achieved, but with the spirit of Rotary, we are determined to continue making a difference to our community.